From Bluetooth to QR codes, the innovation in wireless communication is ever expanding. On one side we have new constantly evolving wireless standards like the near field communication (NFC). And on the other smartwatch devices that become more sophisticated with each model iteration. And because the wrist computer is the the best candidate for controlling your smart home in a super convenient way, marrying them together seams natural. As we all know the most common use case scenarios when combining NFC with a smartwatch – the contactless payments. Recently the adoption became quite wide, brands like Apple (Watch), and the Wear OS equipped, Samsung (Galaxy Gear) and Sony (Smartwatch), are already on board. But payment is just the beginning and not the only option. There are other interesting things like smart locks, smarthome control, media control, and the countless possibilities of NFC tag. We think investing in this combination is not a luxury anymore. And it is indeed investing, because it will save you time. For our 2019 update we are adding 7 new models equipped with NFC chip. All of them have Wear OS versions 2.X, Google Pay, and GPS support. The CPU powering the each model is ARM Cortex 7 with Snapdragon Wear 2100 and 3100 chipset. Head blow to find out more about their features and specification. If you are ready for your own NFC enabled device, please check our comparison table or read the overview of the best models along with cheaper alternatives for those feeling adventurous. The connecting hinge does not seem very strong. A smartwatch designed for the athlete, the Huawei Watch 2 supports NFC, Bluetooth, Wi-Fi, and GPS while offering offline music, a heart-rate monitor, sleep tracker, workout coach and a smart assistant. It seamlessly pairs with any smartphone, looks like an impeccable classic watch, has a long lasting battery while also helping you stay fit. The battery life is one of the best among the models in our articles. A single charge can last up to two days. The watch looks strong and well made and the only thing, according to some users, may be a problem is the connecting hinge. Design wise, Huawei Watch 2 looks very much like a classic watch, thus making it aesthetically pleasing whether you are hiking or in the office. The ambient light sensors brings a nice appeal. If you looking for good support, make a note that Huawei does not score high points in this segment. Any problems would have to be called in or filled via a web form. 10-12 hours on single charge. Another smartwatch geared towards sports, the Watch Sport has a chunky finish due to its 14.2mm thick case. 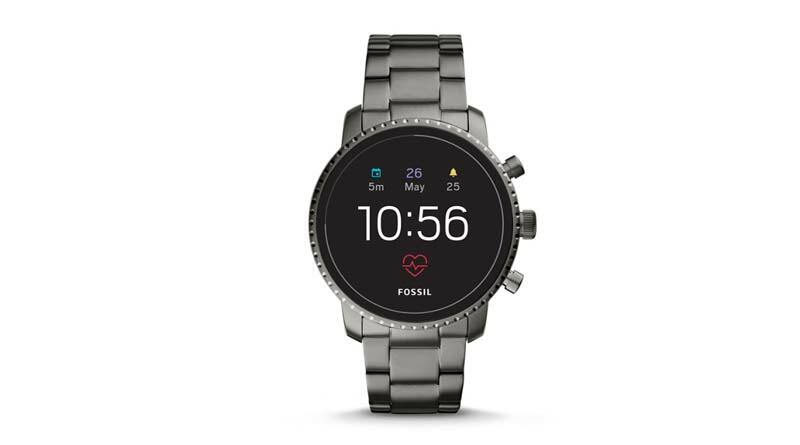 It can pretty much do all the regular smartwatch deeds you need such as GPS, heart rate monitoring, rotating crown, music player, and standalone cellular connection. The best aspect about this smartwatch is its design functionality. Buttons are customizable to whatever task you desire, display looks really good with multiple watch faces, and the battery lasts a long time. A convenient feature is quick app opening with the buttons on either side of the watch. Once configured to activate Google Pay, this button is just a tap away from making your payment. Simple, easy, near field connectivity. Watch Sport offers a super Sharp resolution at 480×480 pixels, the best in the class. The watch is too thick to be portable without being noticed. Not the most subtle device. Since smartwatches are all the rage nowadays, it shouldn’t be shocking that a luxury watchmaking brand has caught on. TAG Heuer’s Connected comes in a Titanium (Grade 2) case which gives you watch-wearing luxury with a hi-tech attitude. For classic watch purists, this smartwatch is perhaps the best one in the high-end market. It does not originally come with the aesthetics or functions typical to sports-oriented smart watches, but it is modular and customizable to whatever design you desire. The smart watch comes in two sizes with 45mm radius or 41mm radius. Above all, its swipe and tilt sensors work excellently which makes it the best option for fast NFC payments. AMOLED screen made of scratch-resistant sapphire crystal. Ambient mode when not in use helps save battery life. Another one of the original watchmaker companies on the list, Movado decided to approach smartwatches with a classic design and personality. A plain and simple design makes for easy and fashionable wear with no chunky design or clunk. One single button triggers Google Assistant, overall the functionality of this watch minimal as well. It also does not have a rotating crown but as a minimalist smartphone it works on finger swipes. NFC performance works well, but is a bit limited because of the lack of interface options. The watch has somewhat limited functionality when connected to iPhone and iMessage doesn’t work. It is worth mentioning that the lack of rotating crown also affects against swift user-interface. If you plan to listen to music or stream other media the battery goes down quickly. 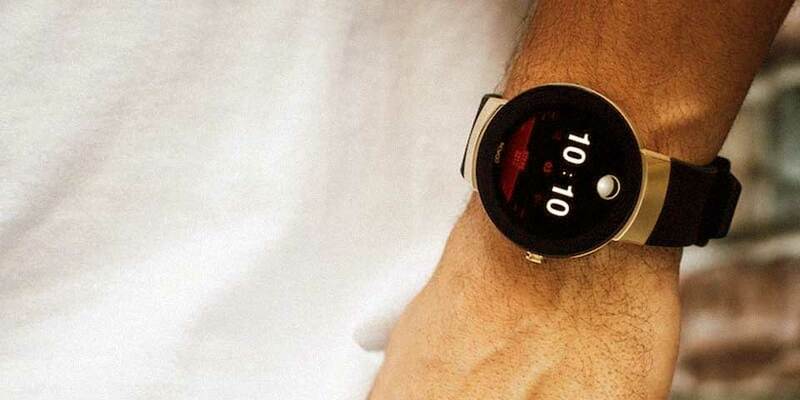 Movado Connect lacks features like GPS, heart-rate monitor, and cellular capabilities. NFC compatibility with Google Pay. Marketed on a dual-layer screen that enables 5 to 30-day battery life from a single charge, Mobvoi’s smartwatch is one that focuses on performance. While it cannot take up SIM connectivity, it does offer everything you need: NFC for Google Pay, GPS, activity monitors, heart rate sensors, Bluetooth and Wi-Fi connectivity. The LCD and AMOLED screen combination is the best selling point because you can switch modes to either smart or essential mode. This allows you to choose how you can use the smartwatch to suit your needs while saving battery. Also you have to option to switch off the pitch black mode and have classic watch look. When TicWatch is in Essential mode with heart monitoring the battery will last longer, however this shuts off Bluetooth and Wear OS. The starting price is the lowers compared to other models. Battery life does not last for more than 24 hours, requiring you to charge it daily. This on-the-go smartwatch will give your notifications, track your physical activity, and help you stay up to date with your social media applications. It comes with a customizable full round display and three buttons. It is equipped with Wear OS that is compatible with both iPhone and Android systems. Although switching between Android and Apple iOS can be difficult since you need to factory reset every time you do it. An interesting feature is the choice of linking social media to the watch faces. However, the smartwatch does not have NFC until after Gen 4 models, which can be a bit expensive. A cool stainless steel smartwatch, the Falster 2 has a number of features and depending on the ones you like best (and use most often), the interactive display can be set up for quick and easy access. Some of the features you will likely use a lot are Google Pay, heart-rate and activity tracking (in the pool as well, since the watch is swim-proof) and smartphone notifications. The NFC enabled watch is powered by Google’s Wear OS and is compatible with phones running Android 4.4+ or iOS 9.3+. One really important feature is the battery efficient dial design which means you can use your watch for up to 24 hours without recharging – perfect for a late night on the weekend. Please note, since the Falster 2 watch does not have a speaker, you cannot make and receive phone calls on it. A luxury timepiece that happens to be a great smartwatch, the MontBlanc Summit 2 is aimed at the urban crowd and business travelers with exclusive apps to make life, work and fitness that much easier. It is also water-resistant up to 50 meters (165 feet). One feature that has to be mentioned is the AMOLED display, which is covered and protected by sapphire glass. It guarantees amazing colors and the default watch faces look absolutely beautiful. The operating system of the MontBlanc Summit 2 is Wear OS by Google and the watch works with iOS and Android phones (iOS 9.3+ and Android 4.4+, not including Go edition). One of the best features of the Mobvoi TicWatch C2 is the battery life of up to a day and a half – of course, as with all similar devices it depends on personal use but the extra bit of power means a full day’s use at least. 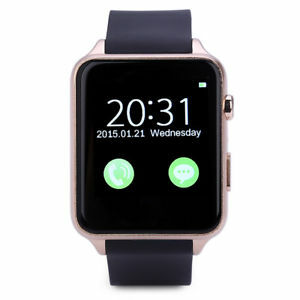 The design is slim and elegant but the watch is extremely customizable with an easy to switch strap and hundreds of watch faces to choose from. The basics for health and fitness monitoring are all there – dynamic heart-rate monitoring, accelerometer, gyroscope and a built-in GPS for outdoor activities. And while you are out and about, NFC support and Google Pay let you keep your wallet and even your phone in your pockets. The Mobvoi TicWatch C2 also has a redesigned notification stream and Wear OS by Google’s new interface so you can stay connected in any situation. The Misfit Vapor 2 smartwatch is perfect for people who are focused on their health and fitness and prefer a streamlined device that will keep them connected and on point. Tracking your performance is easier than ever, both in the gym, the pool and the park, thanks to heart rate and activity tracking, standalone GPS location services that displays your runs, your favorite music at the touch of a finger, custom goal and alarm settings to keep you motivated, all in a swim-proof stainless steel and silicone smartwatch. And you don’t have to worry about carrying a wallet since you can use NFC enabled Google Pay for paying on the go. The battery of the Misfit Vapor 2 will last you about 24 hours, depending on the features you use, the watch is powered by Wear OS by Google and is compatible with Android OS 4.4+ (excluding Go edition) and iOS 9.3+ smartphones. The Kate Spade New York Scallop 2 not only looks amazing, it has every feature you want in a state-of-the-art smartwatch. NFC supported Google Pay allows you to make quick and easy payments and download even more of your favorite apps. One of the most popular features on the Scallop 2 is the animated dials and even better, you can match the face of your watch to your outfit by answering a few quick questions in the morning. Every one of the gorgeous dials has a spade and a tap on it will show your heart rate and track your fitness. Of course, your smartwatch will keep you connected wherever you are with alerts for calls, messages, weather and social media updates. Keep in mind that the Scallop 2 is water resistant and will be fine if splashed or briefly immersed in water, but is not suitable for swimming. An extremely customizable smartwatch, the Diesel On Full Guard 2.5 is fun – and easy – to personalize with numerous dial designs and interactive watch faces that can change color depending on the time or your heart rate. If you choose Weather mode, animations will alert you to the conditions outside. If you prefer Activity mode, the display will appear covered in dust until you get moving. And if you select Do Not Disturb mode, specific notifications will be hidden behind a shattered screen. In all these modes you still get the most popular features of a premium smartwatch – NFC technology allows mobile payments with Google Pay and instant notifications will let you know when you get texts, calls, emails and other alerts. An added bonus is that the Diesel On Full Guard 2.5 is lighter than expected, made with colored anodized aluminum and streamlined as much as possible. For those who want the luxury of having a smartwatch on their wrist without paying the hefty price, here are a few options that make the cut with NFC compatibility. These models do not support Google Pay yet, so you can use them for general NFC automation. This smartwatch gives you what you expect for the price range of under $30. It has a SIM and memory card holder so you can use it with or without a phone. The battery life is 350 mAH so it will last you an entire day. It does have a front facing camera that takes mediocre photos with some video capabilities. These media files can be linked to your smartphone with the smartwatch app. However, viewing angles are not the best and there are no tilt sensors. The only way you can turn on the watch is through a single button. It is hard to see it during direct sunlight since the LCD 240×240 resolution screen completely shuts off. It is good for NFC mainly because it is connected to your phone, other than that it gives you a smartwatch that functions as a basic phone with text, calls, and photos. The first GT generation has a square boxy look that functions on swift swipes. It also has a magnetic charger. With a nano SIM and microSD card holder, it does basic functions. The aluminum build makes this design feel more elegant than most in the price range. It also has a camera with voice recognition and options for watch faces. It does not stray beyond text messages and phone call use, but it does have a heart rate sensor. This watch does not perform anything better than taking photos, phone calls or text messages. It does however have the long battery life at 500 mAH. One power button controls most functions within the smartwatch, however social media apps do not really work since they just redirect you to the browser. There is a radio button but it requires you plug in your headphones for distinguishable audio. While the large display is a bit bulky, the varying options for watch faces does make this a cheap yet effective buy. It is only a swipe away from NFC payments through Google Pay. One of the nicer looking cheap smartphones, the GV18 Aplus looks like a Samsung smartwatch. It is highly effective in making calls, texts and shooting low resolution photos or video. It has a basic LCD display at 240×240 resolution which is not the best for but works well enough to enable switching watch faces. A 450 mAH battery life does make it long-lasting. However, there are no sensors that could assist your sudden athletic monitoring urges. 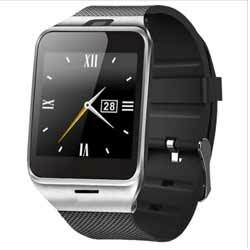 Overall, it is a nifty and slim option for a smartwatch, effective for NFC payments when synced with any Android phone. Near field communication allows two local devices to share small bits of data when they are within close distance from each other. It can be used in contactless payment systems, much like credit cards or electronic smart cards. NFC has thus been used as payment communication to enable quicker mobile transactions. Google Pay and Apple Pay, for instance, support NFC-powered transactions through various devices and smartphones. In fact, Google Pay’s takeover of Android Pay is not only an expansion into NFC but an encouragement of such contactless communication in general. Be it paying for a bus, concert, grocery or any other bill, NFC supporting smartwatches have significant benefits when it comes to making payments seamlessly. Alongside Apple Pay, Google Pay (rebranded from Android Pay) has joined the best in the industry by using NFC. Now more and more smartwatches can have the futuristic and ever-convenient ability to send easy and secure payment in an innovative way. Smartwatches are set to replace and simplify this payment use-case of phones. As smartwatches expand into supporting NFC, the device’s portability is extended beyond being a wrist to phone connection. The smartwatch becomes a device that quickly recognizes intuitive touch as it validates NFC payments with other compatible devices. 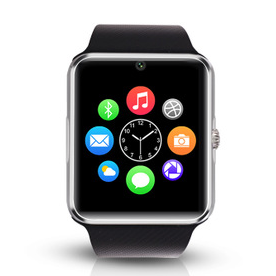 This makes NFC support a crucial feature of all trendy and effective smartwatches. Essentially, NFC can be used for any contactless communication use-case. It has already been used for the WiiU, a remote communication enabled console via its GamePad. Anther gaming example is Disney Infinity- the chips are put in the box. They can be placed under the figure to open a location or get some character benefits. In other words, “modern game with NFC” is almost like “modern game with DLC”. The Adidas Telstar 18 soccer ball also contains an NFC chip to improve interactions between devices and the ball. NFC Tags or stickers can be programmed with several smart device applications, enabling settings, app launching and other command executions. Nokia, Samsung, Blackberry and Sony have used NFC to pair media players and speakers with a single tap or wave. But this is just the beginning. There are already projected possibilities of using NFC to improve other aspects of the both technology and life in general. NFC can be used to bootstrap Wi-Fi or other wireless connections, and this will enable faster data transfers of up to 300 Mbit/s. Social networking can be easier and enhanced with NFC. You can also use NFC devices as an event ticket. Printing camera photos from the smartphone or smartwatch can be easier by just bringing it close to the printer. NFC can be just as effective in sharing business cards. Vouches and vending machines can also work in this manner. Contactless infrastructure denotes a futuristic vision of the world and NFC smartwatches are here to grant this future. So through NFC, you are looking at a future where you can set up any wireless connection with just a flick of your smartwatch. This goes beyond just consumer goods. The vision for NFC also extends into the public sector. Health care and social security benefits can be validated by NFC technology. Bus or public transit can be made easier by a simple wave of your hand. It can also go as far as NFC ID Cards which will make your smartwatch and smartphone into an authenticated identification device. The healthcare system could also use NFC technology to read smart tags to track inventory, patient visits and record several patient activities. Similarly, NFC can be used in the automotive industry for payment, car access or pairing a car with other devices. As with all forms of communication and data transfers, security is key. As far as NFC is concern, all established research shows that it is the best way to protect sensitive data. Not only are NFC payments more secure, NFC itself protects private data as a technology. NFC begins with a secure channel from the onset of communication. Encryption is then used to send sensitive data, be it credit card information or authentication. If your smartphone or smartwatch is password protected and uses an antivirus, you are all the more protected. This makes NFC technology a strong competitor against current forms of mobile payment and data transactions. In terms of hardware security, NFC’s architecture has already lured the automotive industry. Since the car industry requires heavy security in unlocking and starting a car, it comes as no surprise that BMW, Daimler, Volkswagen and Audi have favored NFC strategies as its core hardware security element. This preference is also aided by NFC quicker ease of use against the set-up tasks that pile in with Bluetooth and Wi-Fi connections. Quickness in the automotive industry also means less energy consumption. NFC also works close range and only when the user enables the interface connectivity. Just imagine your smartwatch also being your most secure and high tech car key. The automotive industry introduces innovation into the market at a comparatively slower rate than regular consumer electronic goods. Yet, its adoption of NFC strategies prophesizes an obvious future for contactless communication. On top of security already enabled by encryption support and short range connections, the NFC is also backed by a forum. The NFC forum exists as a checker of security and reliability, projecting NFC to succeed on a global scale. Overall, there’s no real doubt that NFC is indeed the future. Thanks for the info. In regard to „The cheap alternatives“ that „make the cut“ , the article is about google pay, yet I can find no info about these watches supporting it. Help. Sorry David they do not support google pay. You can use them for general NFC automation stuff, but not for paying. Thanks for your note. I will update the article.